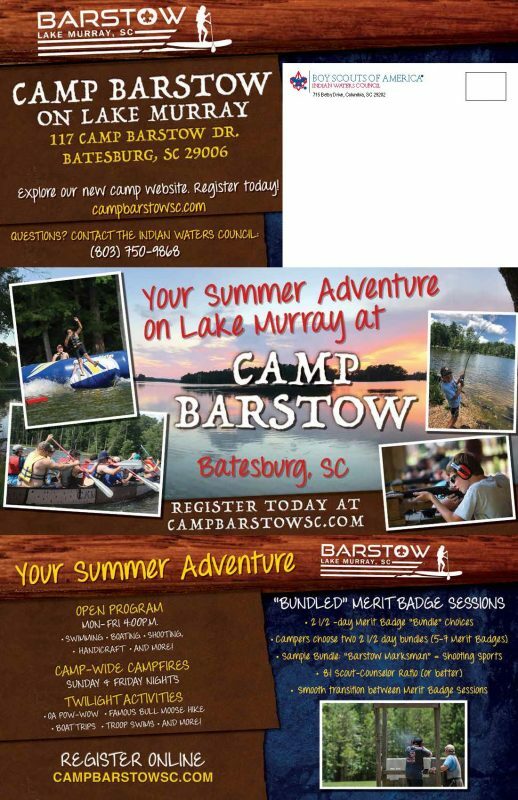 You saw us down at the Camp Trade Show and this morning I want to touch base and share more information about Camp Barstow to help you in making a decision on where to go in the summer of 2019. Our camp is located in the midlands of South Carolina just about in the center of the Palmetto State. We are in the goldilocks zone for south Florida troops. You can make it to our camp in one day. We suggest you leave Saturday morning and arrive at Camp Barstow by dinner time. With our early check-in process we will have food ready for you to cook for Saturday dinner along with breakfast and lunch Sunday. 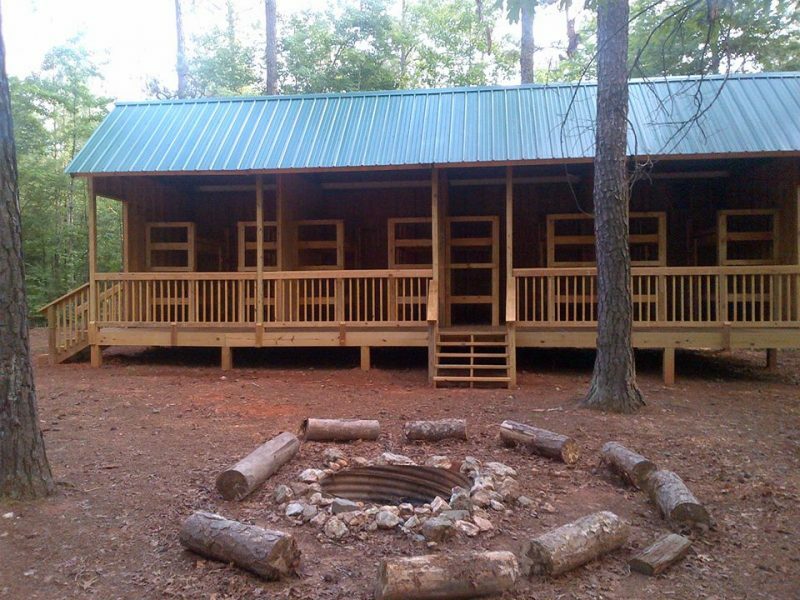 You will get to camp before everyone else and be settled in and ready. 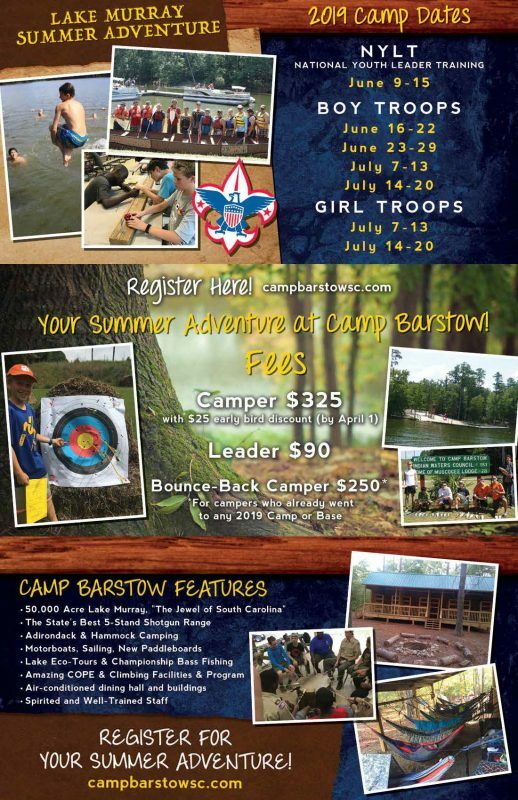 One of our best assets is the facilities at Camp Barstow. Every campsite features adirondack camping (with electricity) so that nobody has to sleep in a canvas tent. We also have hammock shelters in each site so that your Eno campers can string up their hammocks under a roof. Our max number of campers each week is 225. This allows us to serve family style in the air-conditioned dining hall. No more waiting in cafeteria lines! 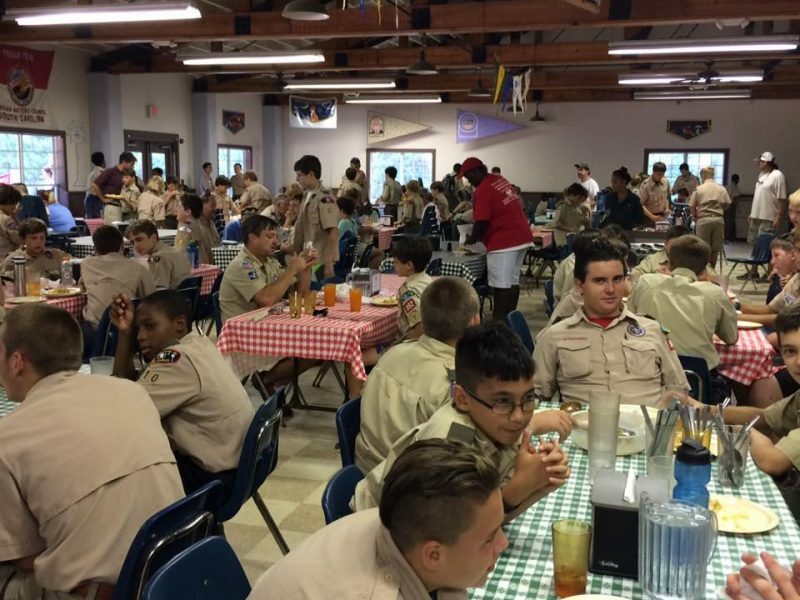 We also have a strong tradition of Scout Spirit including singing songs after EVERY meal. 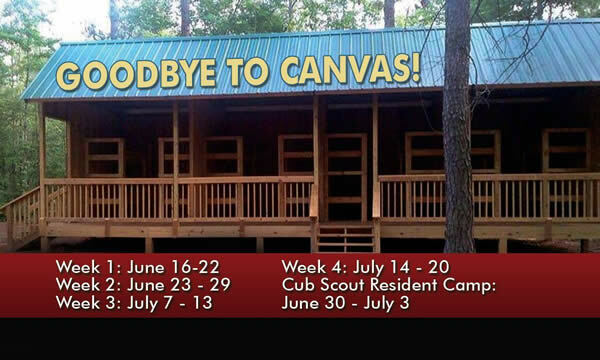 In the summer of 2019 we will run 4 weeks of Scout resident camp including a 3-night Cub Scout Adventure Week. 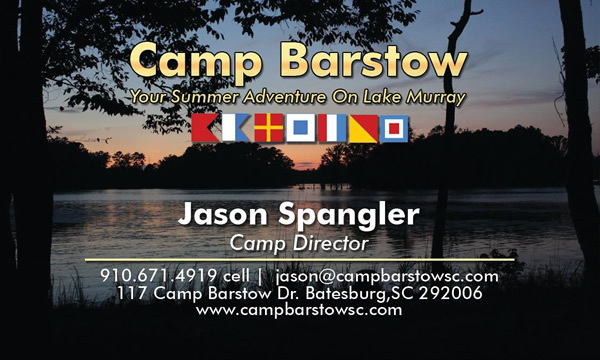 Please call or email me with any questions you have about Camp Barstow. I’ve already had conversations with several Florida troops that reached out to us in the days after the trade show.